Last summer husband and I basically Marie Kondo’d the country house, nothing like having an on-site wedding to get you going, and now I’m feeling the urge to purge city-side too. We were a family of eight living hard and large with kids doing all kinds of sports and activities. Most of them are launched, two come home this summer from college. We built our house from the ground up and it was brand spanking new when we moved in. Like most things after fifteen years I’m feeling its age, and well-loved wear. I can’t do a complete overhaul, completely out of the question, so I’m taking whole days and some whole weekends and doing a clean-sweep. It’s me doing the work, and it’s okay, and therapeutic. 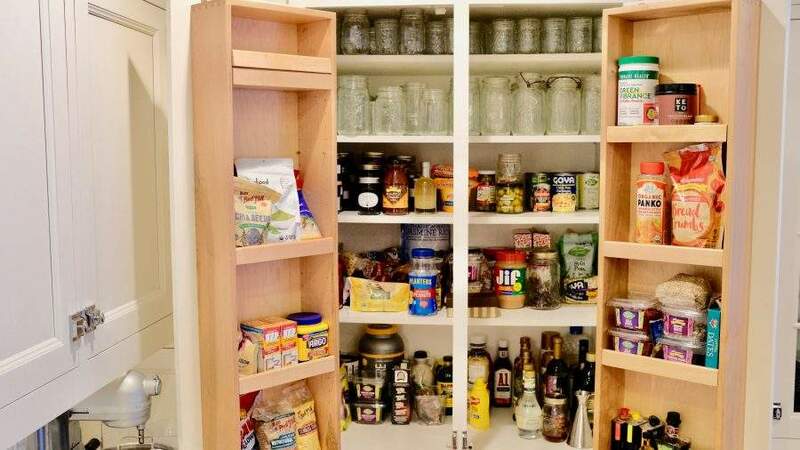 Started with the fridge and pantry because of course that gives immediate results. 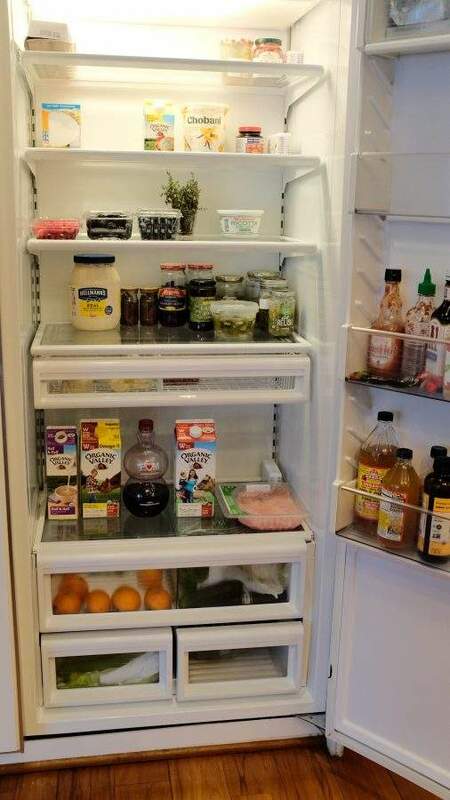 Clean fridge lends a cleaner mind. Actually, those are the first two things I organize when home from a trip. Kept on cleaning and last night I even washed down walls. As for style when working at home I’m all about a favorite pair of blue jeans, these are boyfriend style, can’t really get on the high-rise kick, a tank for when it gets hot, and simple, easy cashmere pieces. Every day dress, clothes: denim and knits, food: took my mom out to dinner.